Claire, the family PA, approached MGN events in late September to seek help in creating an amazing pop-up marquee nightclub solution for her boss’ sons 17th birthday party in their back garden, which was fast approaching in October! They loved the idea of a warehouse themed party. 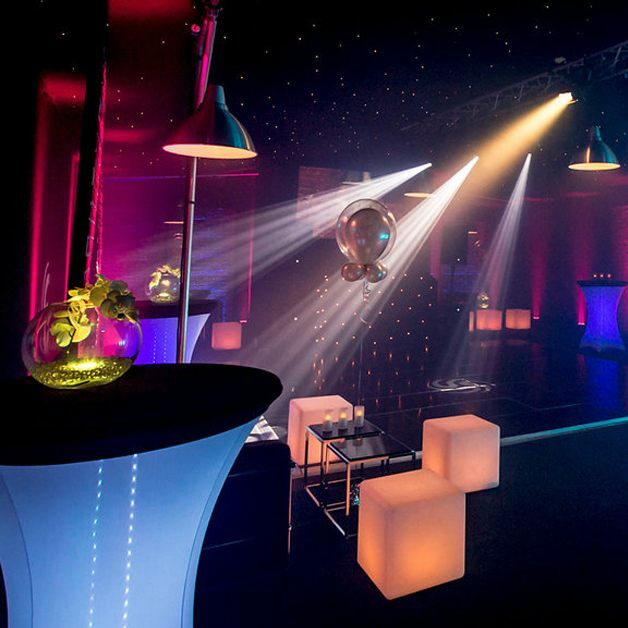 The final concept was a trendy warehouse themed party in a marquee in our clients back garden in Cobham, Surrey. 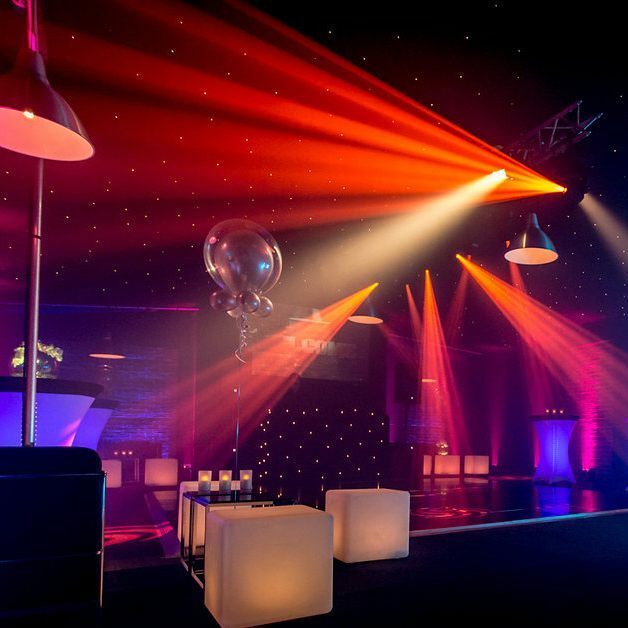 Our vision was to create a stunning contemporary warehouse themed marquee complete with brick wall sections, rustic steel lighting and stainless steel furniture to create a “posh-warehouse”. The family had a large swimming pool that required a bespoke cover to ensure safety of the guests at all time throughout the party. So we built a temporary bespoke wooden swimming pool cover for them. Marquee nightclub – Large bespoke blacked out marquee with fully integrated DJ Package with Video Screen and nightclub quality sound system. Lighting included; Nightclub style moving head LED lights rigged in the marquee ceiling, wireless LED uplighters and a pristine black warehouse dancefloor. Props included; Freestanding Brick Wall Prop Sections around the walls of the marquee. Red Carpet entrance with Red Ropes & poles border. 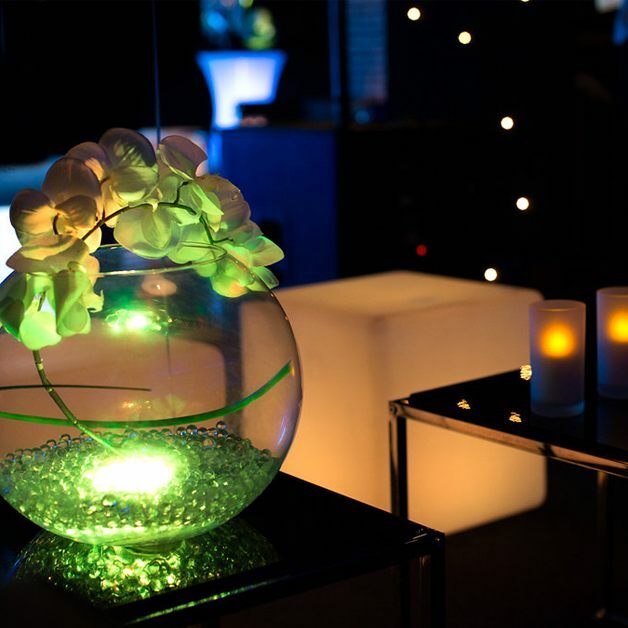 Furniture included; Cube Side Tables, globe bowl table centres, LED cube seats. Le Corbusier chill out sofas, pendant warehouse lamps. LED poseur tables. Catering & Cocktail bar included; 3m curved LED Bar & cocktail mixologists including a complimentary bar, mobile Pizzeria, 17th vodka luge. Photography included; Photobooth with bespoke watermarks, unlimited prints and box of props. Professional roaming photographer.